Did you see the wonders of Istanbul? Istanbul, since historic times, has been a political, cultural and economical capital. Every civilization that lived in Istanbul, has put it's symbol on it. Hagia Sophia, Topkapı Palace, Galata Tower... etc. Take a tour in Istanbul and see the city's wonders! The most famous wonder of Istanbul is definitely the Hagia Sophia. It was built by Byzantine Emperor Justinian in 537AD. 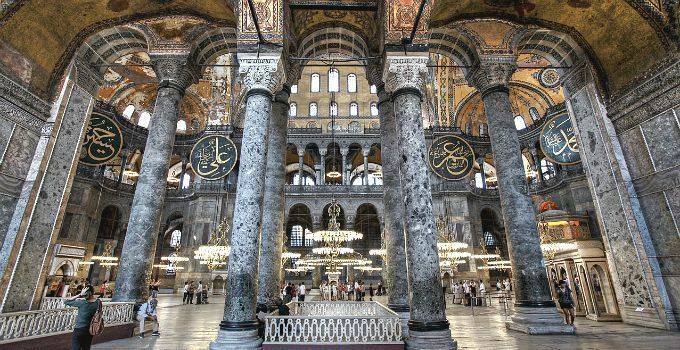 During this period, the Hagia Sophia's great church and dome was the biggest in the world. The church symbolized the infinity of the cosmos, signified by the Holy Soul to which the church was dedicated. The church was the center of Orthodox Christianity. 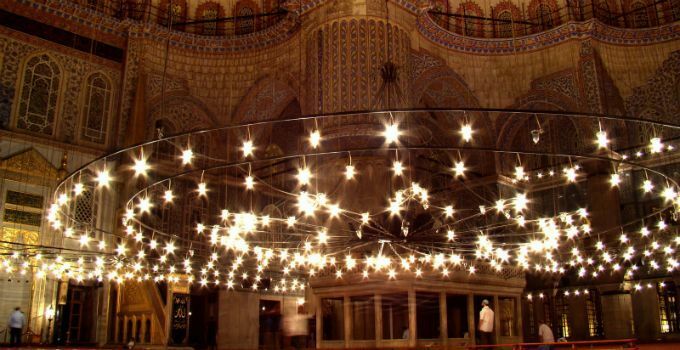 When İstanbul was conquered by Mehmet II in 1453, the church was converted into a mosque. According to Islam respect for other religions the Ottomans did not entirely destroy the Christian time paintings and mosaics. After the foundation of the Republic of Turkey, Hagia Sophia converted to a museum in 1931, by the order of Mustafa Kemal Atatürk. Since that, Hagia Sophia is serving as a museum to it's guests. Topkapı Palace builted in 1465, during Mehmet II's reign. It's the oldest and widest palace in the world and it was used as a governmental center until 1853. Topkapı Palace was the control center of Istanbul. 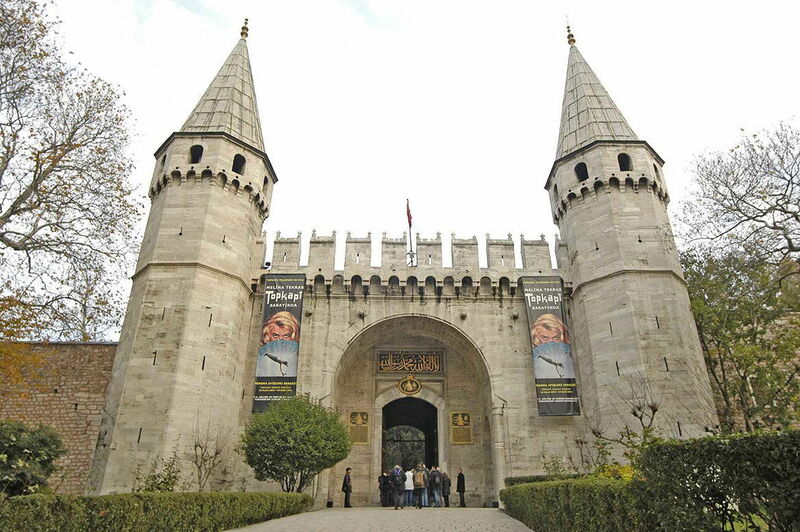 Topkapı Palace was also used as resident for 400 years by Ottoman Sultans. Today, you can visit Topkapı Palace as a museum and see the life of Ottoman Sultans', their clothes, jeweleries, weapons that they used. And you can see the Islamic Sacred Relics . 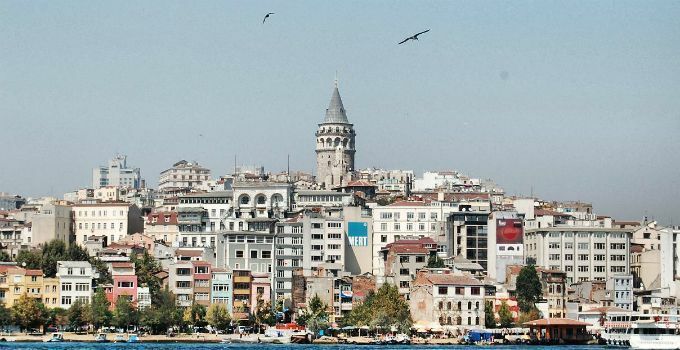 The Galata Tower is located north of the Golden Horn. It was built in 1348 by Genoese colonists to control the Bosphorus and Golden Horn. At that tower you can see panoramic view of Istanbul. Sultanahmet Mosque, which is also known as the Blue Mosque, is one of the significant landmarks of Istanbul. It was built during the reign of Sultan Ahmet in 1616, near the Hagia Sophia. It`s known as the Blue Mosque because of its blue tiles decorating its interior walls, This mosque is a wonderful combination of Islamic art and Ottoman architecture. Pope Benedict XVI visited the Sultan Ahmed Mosque on 30 November 2006 during his visit to Turkey. It marks as only the second papal visit in history to a Muslim place of worship. 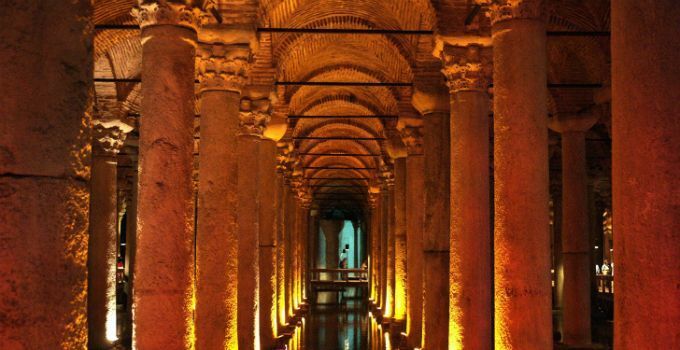 Basilica Cistern is a well - know place to visit. This underground cistern provided fresh water for buildings including the Emperor's palace. And after the conquest of Istanbul, it continued to provide water to the Topkapı Palace. Basilica Cistern (Sunken Palace or Sunken Cistern) is the largest of several hundred ancient cisterns that lie beneath Istanbul. The cistern, located 500 feet (150 m) southwest of the Hagia Sophia on the historical peninsula of Sarayburnu, was built in the 6th century during the reign of Byzantine Emperor Justinian. Located in the northwest corner of the cistern, the bases of two columns reuse blocks carved with the visage of Medusa.